Despite this growth, affluent mobile phone users and those with college degrees were more likely to engage in a range of activities on their devices than those with no high school diploma. For example, 57 percent of mobile phone-using college graduates checked email on mobile devices, compared with 19 percent of users without a high school diploma. And 63 percent of users with family incomes of $100,000 or more said they used their devices for email, compared with 27 percent of users with family incomes below $25,000 – a 36 percentage-point gap. Over the last five years, the total number of Americans 16 and older that accessed the Internet on any device grew by 18 percent from 151 million in 2007 to 187 million in 2012 after adjusting for population growth. As previously reported by NTIA, broadband adoption at home increased to 72 percent of households in 2012 from 69 percent in 2011. The report provides additional information on the growth in broadband adoption. Despite the progress in home broadband adoption, some Americans still rely on public libraries to access the Internet. The report found that 20 percent of those in unemployed households said someone in their household used the Internet at the library, compared with 11 percent of households overall. NTIA has worked to expand Internet access and digital literacy through its broadband grant programs. NTIA grantees have connected more than 1,500 libraries to high-speed Internet service. The report found that 28 percent of households still do not use broadband at home. Those households not online at home cited a lack of interest or need (48 percent) as the main reason why, followed by 29 percent who said they could not afford home Internet service. NTIA’s broadband programs have focused on both expanding access to broadband and encouraging broadband adoption by working with grantees to help non-adopters see how broadband can benefit them. 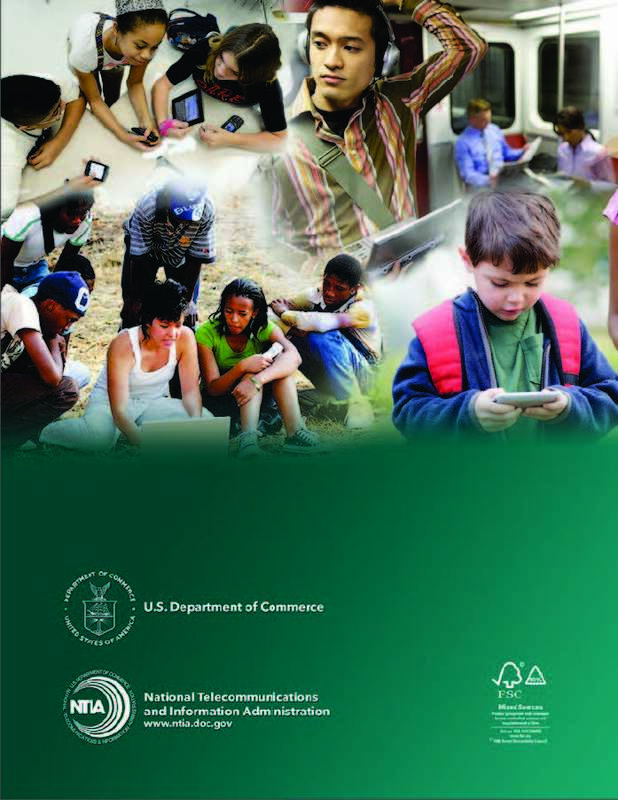 NTIA released a broadband adoption toolkit last year detailing best practices organizations can use to help encourage Internet use.